HARLEY-DAVIDSON traditionalists will no doubt still be recovering from the recent shock of the firm's first ever partially liquid-cooled touring range. Now there's a bigger surprise for them, in plans for a 500cc Harley and even the possibility of electric models. The novice-friendly 500 is in the final stages of development, according to Harley-Davidson President and Chief Operating Officer Matt Levatich. Details are scarce but Levatich said it was “nimble, light-weight, has a low seat-height and supple throttle and braking”. The new model could be built in India, Levatich hinted. 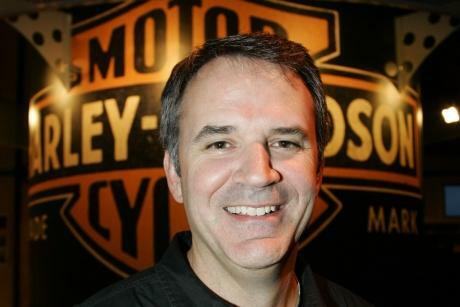 He said: “The American qualities of a Harley are very important. The literal ‘where does that shock absorber come from?’ is less significant, but it has to have the spirit and soul of America. “We have Harley factories in India and Brazil – can we leverage those facilities and expertise so it can get to the, for example, Indian consumer faster? Speaking at the firm’s 110th anniversary celebrations in Milwaukee at the weekend, Levatich also said there was the possibility of electric Harley-Davidsons in the future. He said: “I’m sometimes asked whether there will be an electric Harley. People say ‘Hell no’ but why not? Our engineers are quite intrigued with the idea of what an electric Harley would look like, sound like and feel like. And would it be visceral? Would it be emotional?